Abi managed to sprinkle a little bit of her dramatic flair into the majority of the conversations, strategies, and heated moments she had this season. This self-proclaimed villain said the fiestier side of her personality was, in fact, her Survivor alter ego and, in real life, she’s actually very well-liked. 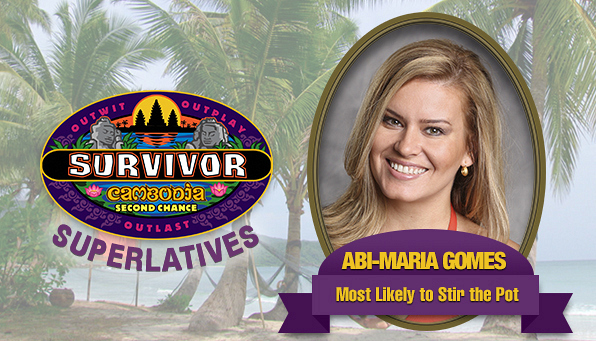 Regardless, Abi stirred the pot like no one else in Cambodia.